Charleston, South Carolina was recently voted the United States Tennis Association’s 2010 Best tennis Town, beating out 81 other cities. 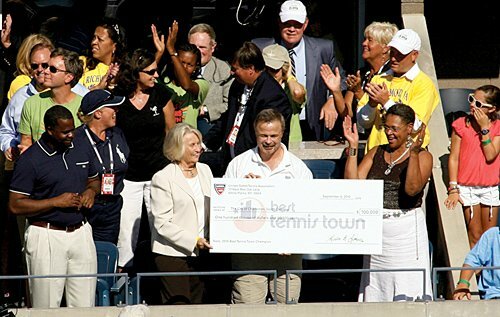 Besides the honor bestowed by such an award, the city received $100,000 to use towards community-wide tennis programming or facility enhancements. As a community dedicated to and passionate about the game, the money will serve to continue the commitment to the sport of tennis in the lives of young children and adults alike. Mayor Joe Riley brought the Family Circle Cup, an influential tournament that has significantly influenced the popularity of women’s professional tennis, to Charleston in 2001. Each year Daniel Island hosts this exciting tradition and showcases some of the most accomplished women in tennis such as: Steffi Graff, Venus and Serena Williams, Chris Evert, Tracy Austin, Jennifer Capriati, and Martina Hingis. The next Family Circle Cup is scheduled for April 2-10, 2011, so be sure to check out ticket information and see for yourself why Charleston continues to charm its way to the top of awards lists.